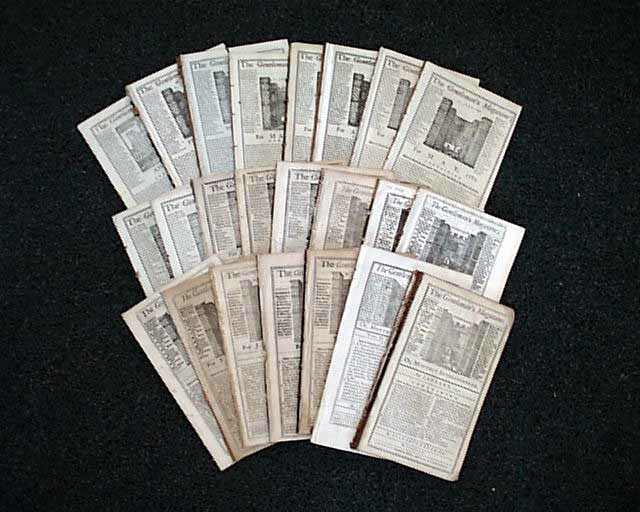 Item # 180020 GENTLEMAN'S MAGAZINE, London -- lot of 25 issues, all from the 1700's, varying years and decades, each issue complete with the full title/contents page featuring an engraving of St. John's Gate. Nice condition. A larger quantity at a low, wholesale price. The images shown are representative of the look and condition of those you will receive. Actual dates vary.